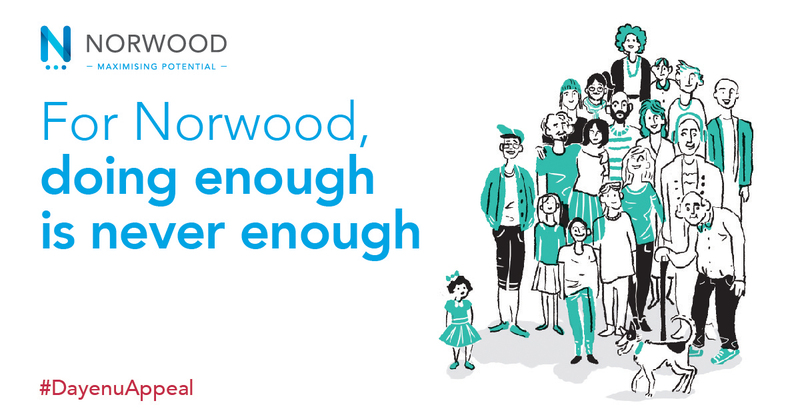 This week Norwood launched its Pesach appeal and we’re hoping our supporters – old and new – will dig deep to ensure it’s a huge success. Featuring real-life cases seen by Norwood social workers, day in, day out, on the frontline in our community, the appeal highlights the diverse and often devastating issues faced by some of the children and families we help – and how Norwood goes above and beyond to support them, because we believe that doing enough is never enough. Our #DayenuAppeal is so-called because Dayenu is one of the most popular tunes of the Pesach Seder meal and gives thanks to G-d for not only granting the Jewish people a series of miracles, but also going on to do more. After each miracle, we repeat the word Dayenu, which means “it would have been enough”. We urge you to read and support our #DayenuAppeal because with your donations and our expertise, together we can give brighter lives to families going through tough times. To help us share the appeal and learn more about the life-changing work that Norwood does, please follow us on Facebook, Twitter and Instagram.